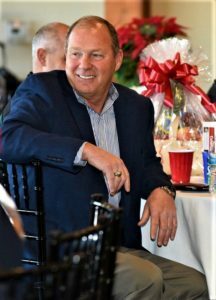 Dennis Tyndall at December luncheon to honor West Columbia first responders. Kelli Ricard- City of West Columbia photo. 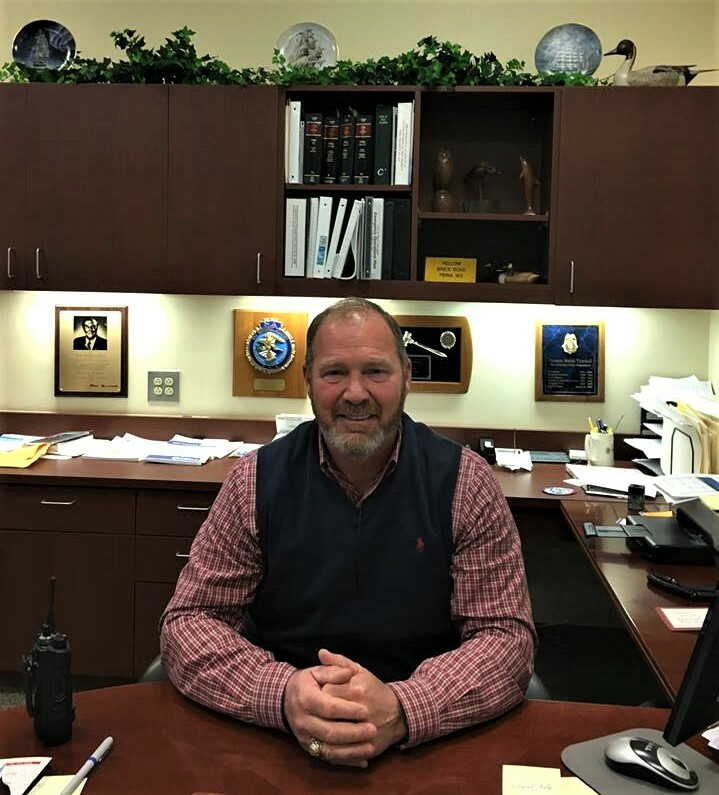 West Columbia Police Chief Dennis Tyndall has been in law enforcement since 1984, and in that time he has seen the profession evolve. From equipment to training, the job of police officer has become more complex over the years, but Tyndall always rises to the level of professionalism required. 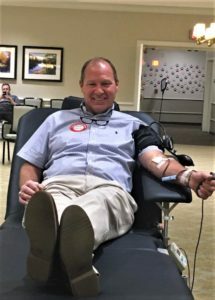 The West Columbia Police Department serves a community of more than 18,000. Because the city sits in the middle of a metropolitan area, the police department attends to many others who travel through. It’s a high-profile department and Tyndall said the WCPD is dedicated to providing the highest quality of service. 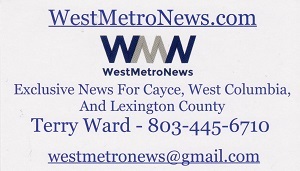 “Ensuring the safety of the people of West Columbia is the responsibility I’m charged with,” said Tyndall. And to fulfill his obligation, Tyndall said he has to staff the police department with the right personnel and work to make sure they have the resources to do their jobs. In July, The West Columbia Police Department created a recruitment program to meet the growing need for qualified applicants. The program includes increased starting salaries for police officers and incentives for officers already on the force. 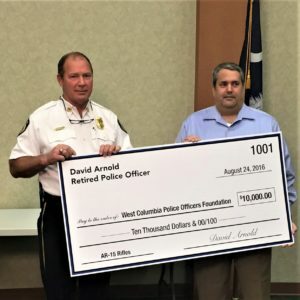 “We make the West Columbia Police Department an attractive place to work,” said Tyndall. 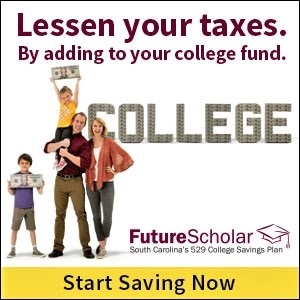 The starting salary for a new recruit to the department has increased to $39,964.09. If the applicant is already a certified officer, the starting salary is $41,602.23. The new program includes an $1,500 recruitment bonus for new officers, extending the range for take home vehicles, and a $150 monthly stipend for bilingual employees who serve the population in their daily work. Tyndall said is important to keep the personnel in the WCPD satisfied with their jobs. Tyndall grew beard for No-Shave.org benefitting Fight Colorectal Cancer, St. Jude Children’s Research Hospital, Prevent Cancer Foundation, and the West Columbia Police Officers Foundation. Just recently, the City of West Columbia announced that it is hiring four new officers. But Tyndall’s job involves much more than just adding personnel. Tyndall also said when an officer signs on with the West Columbia Police Department, they get everything they need. Horton said he is proud of the job Tyndall does staffing the force. Tyndall also said it can be a challenge to get the right person. “It takes a special person,” he said. And his officers are respected for their service to the people. “The local community is very appreciative of our officers,” Tyndall said. West Columbia police personnel, on occasion, have their meals purchased by fellow restaurant diners, as a show of appreciation. 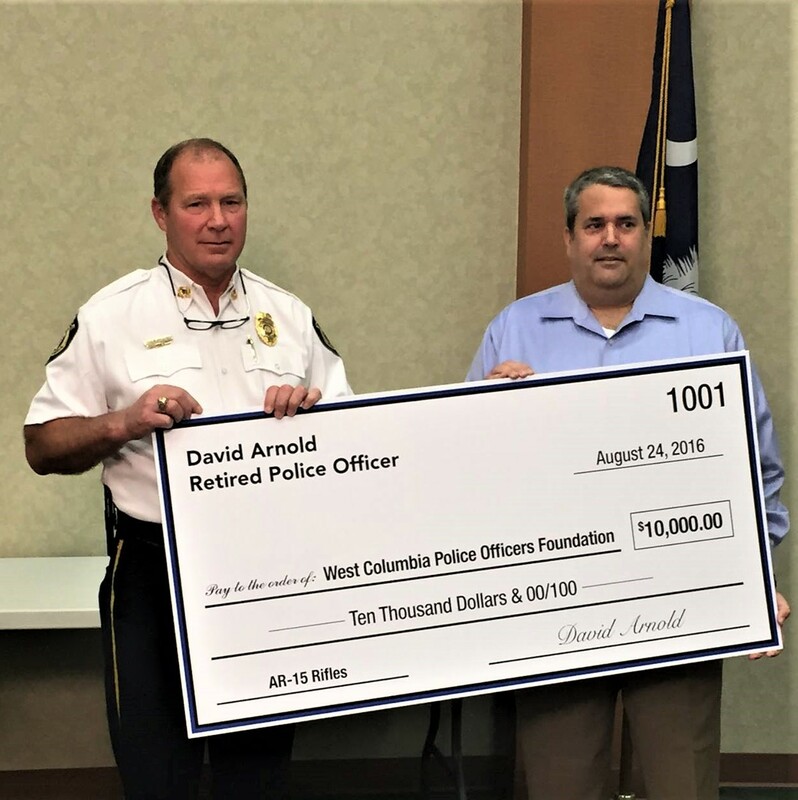 Tyndall with David Arnold and $10,000 donation, to the West Columbia Police Officer’s Foundation. “They will pay for an officers meal as a way to thank them for what they do,” said Tyndall. He said the police department’s relationship with the West Columbia Community is good. Tyndall said it’s good to be liked locally, because an isolated national incident, in another state, can invite hype and harm to the perception of the most-credible law enforcement agencies. Tyndall said it’s also important that police department leaders are responsive to the members of its force. He used a recent adjustment made to personnel schedules to explain. “Our dispatchers would rotate every two weeks. Two of them would work days and two would works nights. Then they would switch” said Tyndall. The dispatchers expressed a desire to stabilize their schedules, instead of rotating. After study, Tyndall said the rotation was ended. “We now have four very happy dispatchers,” he said. Helping increase the job satisfaction for the staff of the WCPD is important to Tyndall. He also said the department works well with its police neighbors in Columbia, Cayce, Lexington, and in Richland and Lexington counties. He said West Columbia is a great place to work and the WCPD is looking for quality applicants. In July, The West Columbia Police Department created a recruitment program to meet the growing need for qualified applicants. The program includes increased starting salaries for police officers and incentives for officers already on the force. West Columbia PD has the nicest caring and well equipped officers 👮🏻‍♀️ around. 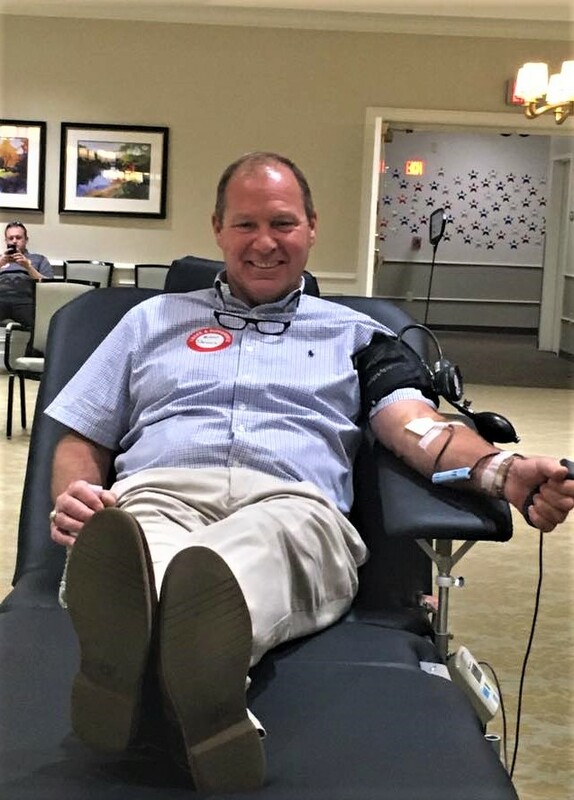 Keep up the great work Chief Tyndall!